While doing research for Spontaneous Evolution ten years ago, I came across a book that forever changed how I viewed the collective wisdom of we the people. The book was called The Tao of Democracy and it offered example after example of how the collective voice and view of ordinary citizens could provide more helpful and functional solutions than the best-informed experts. The author of that book, Tom Atlee, has been an “evolutionary activist” for more than 30 years, focusing on the power of collaboration and collective intelligence. In 1996, he founded the Co-Intelligence Institute to aid in the “conscious evolution” of our society, and our species. 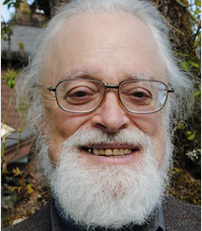 His work on “wise democracy” features his coined category of existing forms of “citizen deliberative councils” which he promotes in his books The Tao of Democracy: Using Co-Intelligence to Create a World that Works for All (2003) and Empowering Public Wisdom: A Practical Vision of Citizen-Led Politics (2012). One of the objections those used to being in power have had against true democracy is their belief that ordinary people don’t have the capacity to consider the bigger picture, and cannot be trusted to govern themselves. The work that Tom Atlee has done over these past many years proves just the opposite — that given the tools for engagement, and the proper guidance for having a respectful conversation for co-creativity, the “wisdom of crowds” is wiser than the wisdom of elites. If you prefer evolution to extinction, this conversation will shine the light on the path ahead.